The Marvel Cinematic Universe celebrated its tenth year — and its 20th film — in 2018. From Iron Man to Ant-Man and the Wasp and every crossover in between, Marvel Studios has become an unstoppable juggernaut by bringing their vast world of heroes and villains to the screen. Of course, the story of Marvel's journey to the movies stretches back much further than the MCU, as many of their most popular comic book icons were signed away to bigger studios long before they took matters into their own gauntlets. Sony had already spun Sam Raimi's Spider-Man trilogy, and Fox was the home of the X-Men, Daredevil, and the Fantastic Four. 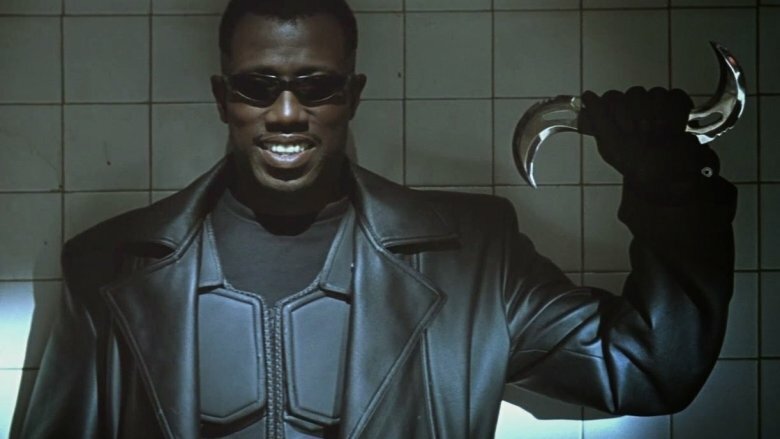 Even before those efforts, though, the first truly successful Marvel movie arrived in an unexpected form: Blade. Director Stephen Norrington's 1998 feature from New Line Pictures cast Wesley Snipes as the vampire hunter created by writer Marv Wolfman and artist Gene Colan for Marvel's Tomb of Dracula comics in the 1970s. Not only was Blade a surprise hit, its influence can be found in some surprising places. To honor that legacy, we're looking at how Blade changed superhero movies… even if you didn't notice. It didn't take long for Marvel to become a mighty smash on the small screen — their characters were Saturday morning staples as early as The Marvel Super Heroes show in 1966, The Incredible Hulk became a TV icon of the '70s, and if you haven't seen the Japanese Spider-Man series, you're missing out. Theatrical conquest, however, remained just out of reach for decades. The first feature film to leap from the pages of Marvel was, strangely enough, 1986's Howard the Duck, an infamous flop despite being something of a passion project for producer George Lucas. The Punisher and Captain America both had movie adaptations at the turn of the '90s that ended up as low-grade direct-to-video fodder. Blade finally showed that Marvel properties could make their money back at the box office. In this age when so many of the most profitable films of all time star at least one Avenger, it's good to remember the vampire hunter who first sliced open the path. Like a phoenix (or maybe a Dark Phoenix) rising from the ashes, Marvel Entertainment has conquered the world after seeming to be at the end of its life, in a resurrection story worthy of even the strangest X-Men adventure. It's easy to overlook now, but the company filed for bankruptcy in 1996, after the "Speculative Boom" and a series of failed multimedia ventures left them in hock to all sorts of creditors (including, ironically, the Walt Disney Company). One of their strategies for crawling back from this brink was the movie licensing initiative that led to X-Men, Spider-Man, and, of course, Blade. This run of features (coupled with some bold reinventions on the publishing side of things, like the introduction of the Ultimate Universe) served as a reminder of the value of Marvel's beloved characters. It also got Marvel executives thinking about how much more money they could be making if they didn't have to share so much of those ticket sales with the studios (of Blade's $70 million total, for example, the company pocketed a measly $25,000). Producer and agent David Maisel pitched the idea of a self-financed slate of interconnected Marvel movies, and the rest was history. 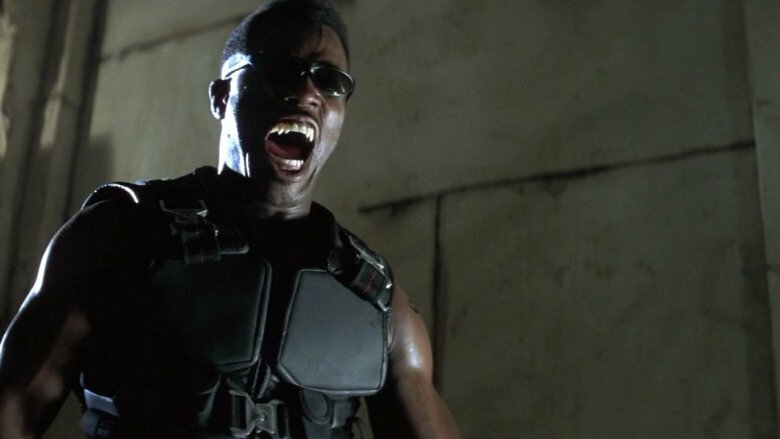 Blade may not have single-handedly saved Marvel, but it certainly marked the beginning of one of the most incredible comebacks in media history. 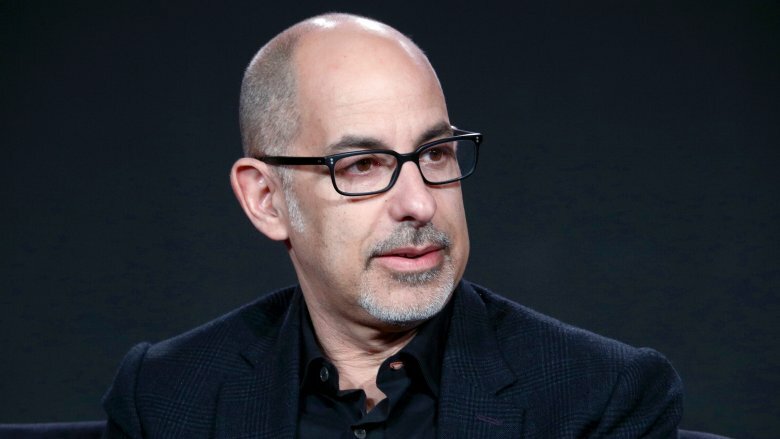 The name David S. Goyer may not be quite as instantly recognizable to fans of comic book moves as Stan Lee or Joss Whedon. Nevertheless, he's been a major force in shaping the genre as we know it, with writing credits on the entire Dark Knight Trilogy, Man of Steel, and Batman v. Superman: Dawn of Justice. But there's a good chance he wouldn't be where he is now without Blade. Goyer rose to prominence throughout the '90s with writing gigs on action movies like Death Warrant and Kickboxer 2. 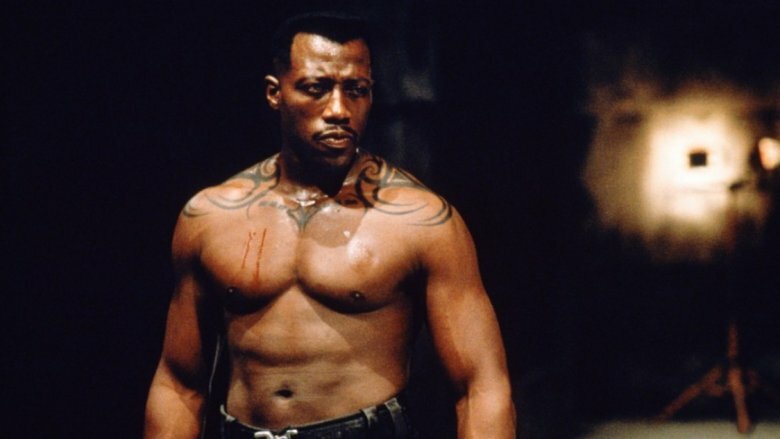 He first touched on comic book material with The Crow: City of Angels in 1996, but Blade brought him to a whole new level. "Blade was the first time I was writing what I wanted to write," he would later recall. He went on to pen both of the film's sequels, and even directed Blade: Trinity, during which he made headlines by clashing with Wesley Snipes. Gloomy vibes. Night creatures. Black leather. The goth trends of the 1980s more or less gave way to both the casual styles of grunge and the bright colors and excess of '90s pop and hip-hop cultures. By the end of the decade, however, a new generation of spooky kids was ready to rise from the crypt. Who better to serve as a herald for this revival among action films than Marvel's vampire hunter? A coven of similar blockbuster movies with a creepy twist followed in the years immediately after Blade. 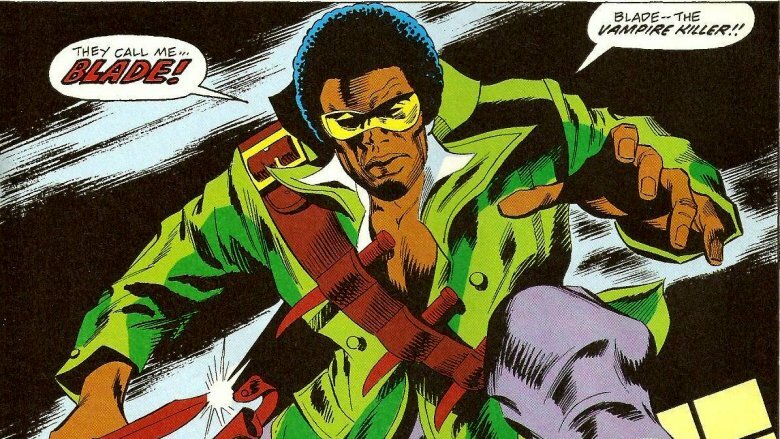 Even some that weren't specifically based on comic books picked up on Blade's blending of supernatural with superhero. One doesn't need heightened senses to notice the direct line from Blade to the zombie action of Resident Evil or the vampire vs. werewolf battles of the Underworld franchise. 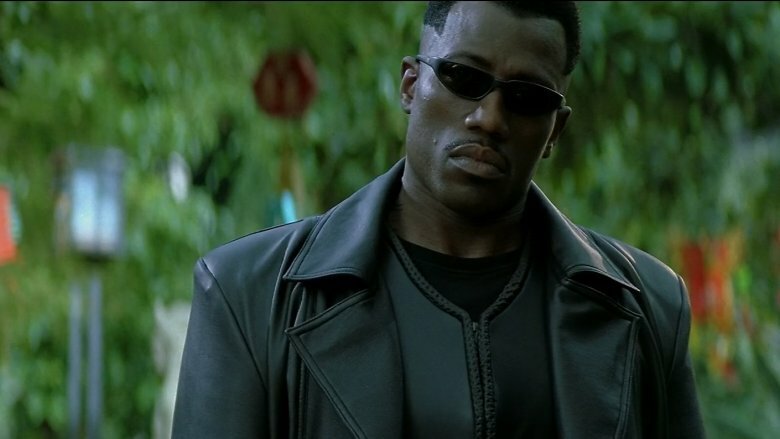 Even The Matrix follows in Snipes' leather-clad footsteps, both in its shiny black aesthetic and in its ideas of an underworld waging a war that humans can't see. It may seem strange to refer to a movie about a half-vampire who hunts other vampires as "grounded," but the case can definitely be made that Blade brought comic book movies down from their flights of fantasy. Despite its supernatural world-building and the occasional over-the-top flourish (blood rave, anyone? ), the movie brings a gritty sense of realism to its storytelling, at least when compared to its predecessors. The pun-laden neon silliness of Batman and Robin, for instance, had come just a year earlier. 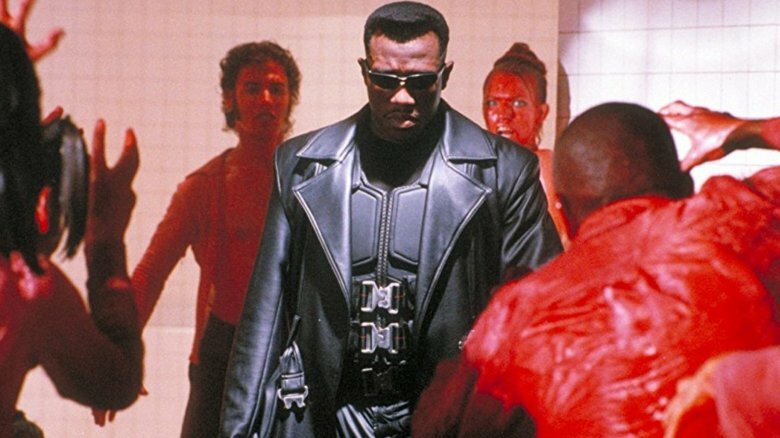 Blade's action is also much tighter and smaller than previous comic book movies, with street-level vampire fights and quick-cut hand-to-hand combat replacing the grandiose set pieces and dazzling stunts of Batman or Superman. This more sober approach would continue to flourish into Christopher Nolan's Dark Knight movies and Marvel's modern slate of Netflix original series. Look again at Daredevil's hard-hitting punches, and you might spot a resemblance to Blade's bloodsucking melees. The tagline for the 1978 Superman movie starring Christopher Reeve boldly declared, "You'll believe a man can fly." It was a simple pitch, but it remains iconic of an era when even the most basic facets of superhero adventures were being revived anew for a generation of grown-up moviegoers. Superman was remarkable because it was the first time a beloved comic book icon had been brought to life on the big screen on such a grandiose scale. It also set a precedent that would largely be upheld through the '90s: the secret to a successful comic book movie was to play on the audience's nostalgia and affection for classic characters. Fast forward to the present, when movies like Guardians of the Galaxy have made stars out of characters that were obscure even among diehard comics fans. How did we get here? 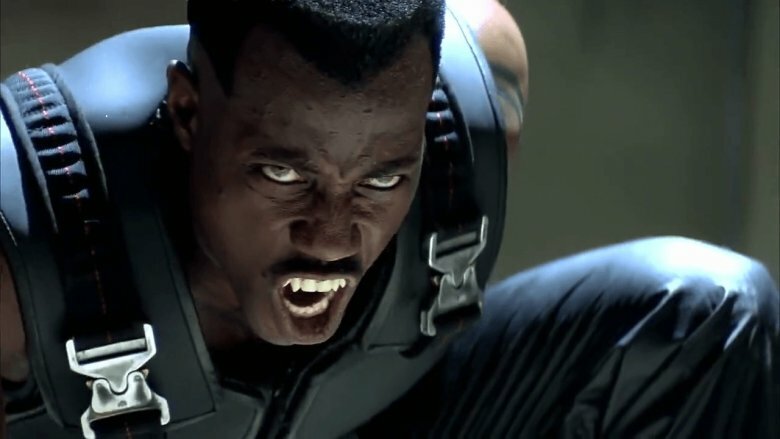 Tony Stark may have been a fairly minor figure in the public consciousness before Iron Man kick-started the MCU, but a decade before that, there was Blade. The character did have a certain cult following from his '70s debut, but remained niche, to say the least, outside of Marvel enthusiasts. The film's success ushered in a new world in which studios didn't have to prioritize recognition over quality adaptations. News outlets have declared that "comics aren't just for kids anymore" so many times over the years that it's become something of a running joke for readers. Superhero movies took their own long and winding route to being seen as adult entertainment. In the '70s and '80s, there were R- or X-rated movies based on comic books, but only when the source material was the kind of counterculture cartoon very much for mature readers, such as with Fritz the Cat, Heavy Metal, and Akira. Movie superheroes remained in the realm of all-ages fare until the '90s, when dark avengers and antiheroes like Judge Dredd, Tank Girl, and The Crow started taking screens by storm. But Blade was the first character from the "Big Two" publishers, Marvel and DC, to arrive in American theaters with an R rating. The success of its harder edge marked the opening of a floodgate, and now there are several comic book films every year produced specifically for the over-17 crowd. Blade gave permission for Deadpool, Logan, and the Marvel Netflix universe to be their own bloody selves.